Neonatal diarrhea in cattle can have a number of infectious causes. Many of them are self limited and will resolve on their own, BUT may kill a calf in the interim by causing severe dehydration. We are posting this because we get a lot of emails about calves with diarrhea, and know that we may not check our email often enough to be helpful. Diarrhea can cause severe dehydration and dehydration can kill a calf. Do not let him get dehydrated. And, if he looks weak or listless, please don’t wait for us to email back, get help! The most common cause of diarrhea in the first few days of life is E. coli. There are many varieties of E. coli and this is not the same “Killer E. coli” that seems to prefer patrons of fast food restaurants, and causes hemorrhage and kidney failure. This one mainly causes diarrhea and dehydration. If you are having trouble with scours in the calves’ first few days of life, there is a bolus that may help. (They call it a colostrum supplement but it is more like an instant vaccine for E. coli and Coronavirus). You have to get a small balling gun to get it down the newborn calf, since it is like a really big pill. Since you are taking advantage of the permeability of the calf’s G.I. tract to colostrum, you must give it within about 12 hours of birth, which is usually a couple days before they would have gotten sick from these organisms. Remember, when the calf is born, it is too late to order it . . . so order in advance. Another way to hopefully wipe out scours in your herd is to vaccinate the pregnant cows about 2-4 months before they calve. This will provide the calf with antibodies to some of the most common causes of scours, including the organisms that cause diarrhea very early in life. One of the most popular vaccines used for this purpose is Scour Bos. 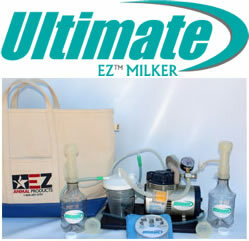 It will also help to increase nutrition to your cows before they calve, particularly first calf heifers. Protein tubs are an easy way to provide supplementation without a lot of work. A mixture of grain and calf manna, or high quality hay, pasture, or alfalfa, will also help. Increasing the level of nutrition to the mother cow will increase the quality of the colostrum she produces, and the calf will be better protected by the antibodies he receives through this first milk. If you have had an outbreak of neonatal scours, you should also consider moving your “calvey cows” (those soon to calve) to another pasture so the calves are not born in an area that has been contaminated by the infected calves. 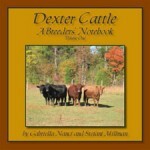 You can find a lot of information online about neonatal scours in cattle, and we recommend you read all the literature. Since these sources are not able to recommend particular products, we have provided this article so you can find quick links to products that are commonly in use and give good results. If you have had a problem with scours in your herd, you may want to discuss herd management with your veterinarian, agriculture extension agent, or university veterinary science department. A series of tests and/or a detailed herd history may help reveal a combination of management practice and likely infectious causes of scours in your herd, which will give you a plan for how to eliminate the problem in future calving seasons. Next post: Cows have four teats, right?